TO SAY THAT President Trump cannot be charged with obstruction of justice in connection with James Comey’s firing just because the president had the authority to fire him — as Trump’s counsel John Dowd says — is simply wrong. But Dowd would have to agree that the president could be prosecuted for garden-variety bribery or giving gratuities. (Bribery is giving or accepting something of value in his official capacity in exchange for a future benefit on the other side of the exchange, and illegal gratuities is rewarding individuals through official acts for their past favors on his behalf.) If Trump sought to lift Russian sanctions not because he suddenly took a liking to Russian caviar, a lawful if shallow reason, but to reward the Russian oligarchs who invested in his enterprises when no one else would, or as a quid pro quo for allowing future Trump investment (say, a Trump Tower in Moscow), that would be illegal. And this is so even if the president had broad authority to implement foreign policy changes. Likewise if Trump and his associates conspired with the Russians to hack the election, or if they knowingly accepted Russian assistance such as illegally obtained Clinton e-mails, a criminal prosecution would be appropriate. Now here’s where Dowd’s argument breaks down. If the way to cover up bribery or conspiracy is to shut down the investigation of former national security advisor Michael Flynn, then firing Comey is not only part and parcel of those crimes, but also an obstruction of justice. Why should the president’s lawyers want to argue that bribery or conspiracy may be OK to prosecute but obstruction of justice is not? The answer is clear: Bribery and conspiracy are harder to prove than is obstruction of justice. Obstruction of justice requires proof of the act of impeding a pending investigation — as Comey’s firing plainly did — with corrupt intent, namely the intent to get the FBI to stop investigating a key witness against the president. True, the crime of obstruction of justice has been deployed in situations in which it should not, but this isn’t one of them. 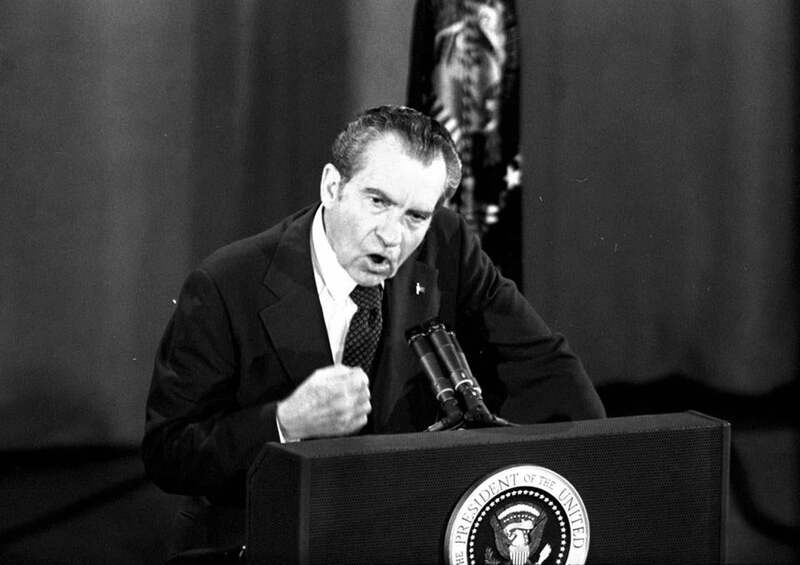 Nixon paid hush money to a witness to keep him from testifying against the president, indisputably obstruction of justice. Using the power to hire or fire (or to promise pardons) to impede an investigation could be the functional equivalent. Promising to retain Comey as FBI director — a benefit Trump knew Comey wanted — only if Comey agreed to end the Flynn investigation, and firing him when he refused, could constitute both a scheme to obstruct justice as well as an illegal bribe. Nor is it overreaching to investigate whether President Trump told Donald Trump Jr. what false account to give the authorities about the June 2016 Trump Tower meeting with a Russian lawyer, or whether the president instructed Flynn to lie to the FBI about his conversations with Soviet Ambassador Kislyak, or whether he encouraged other officials to omit their interactions with Russians in testimony or disclosure forms. Nor is there anything improper about seeking evidence of unlawful intentions from Trump’s wildly contradictory stories about why he fired Comey. As David Alan Sklansky wrote in Fortune, it’s not a crime for a local sheriff to shut down an investigation because it’s not going anywhere, but it is a crime if his motive is to avoid implicating the sheriff’s brother-in-law. It is long-settled law that the legality of an executive official’s conduct may depend on why the official engaged in that conduct – i.e., that motive matters. A prosecution based only on Comey’s testimony would not be strong, but it justified a careful investigation that has already turned up much more. It must be permitted to take its course, whether it leads only to indictments of administration officials or to a report triggering impeachment. There is no constitutional immunity for such corrupt abuse of power — not now, not ever. Nancy Gertner, a retired federal judge, is a professor at Harvard Law School. Paul Butler is a visiting professor at Harvard Law School and a former federal prosecutor in the Justice Department’s Public Integrity Section.